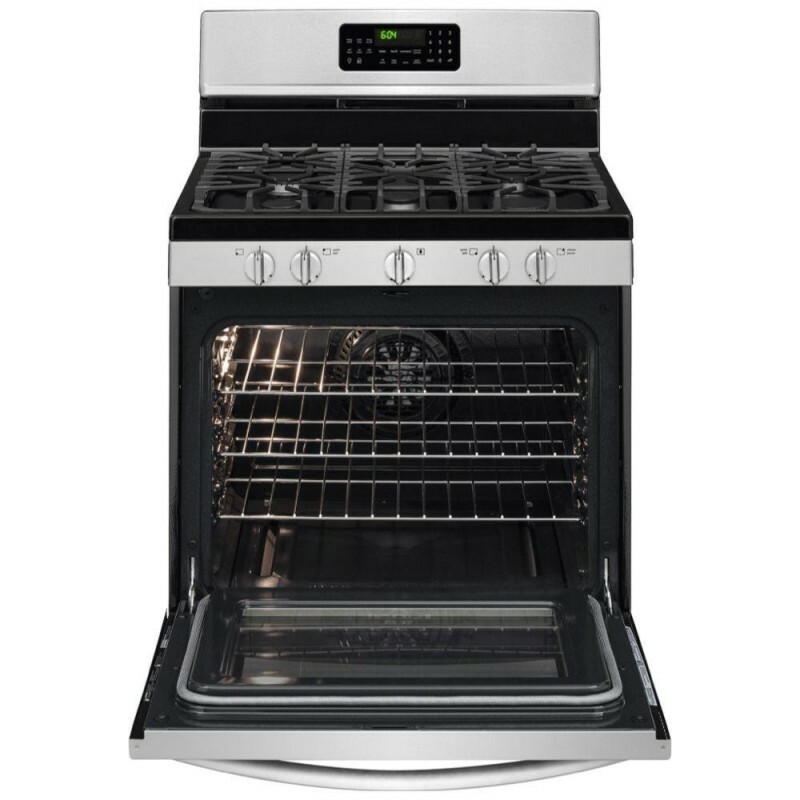 The Frigidaire Gallery 30 in. Freestanding Gas Range lets you cook more at once with a 5.0 cu. 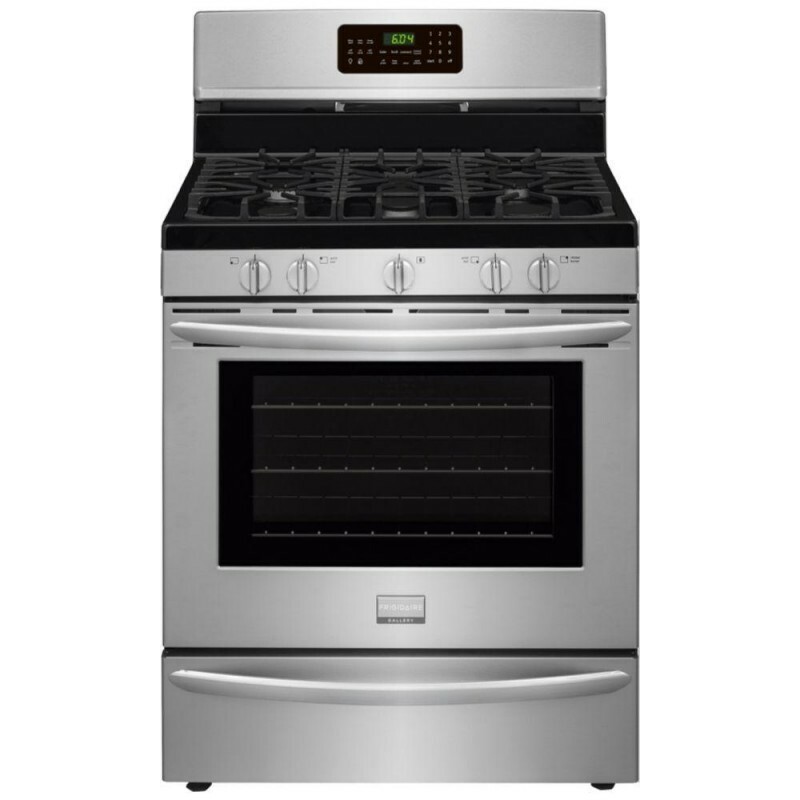 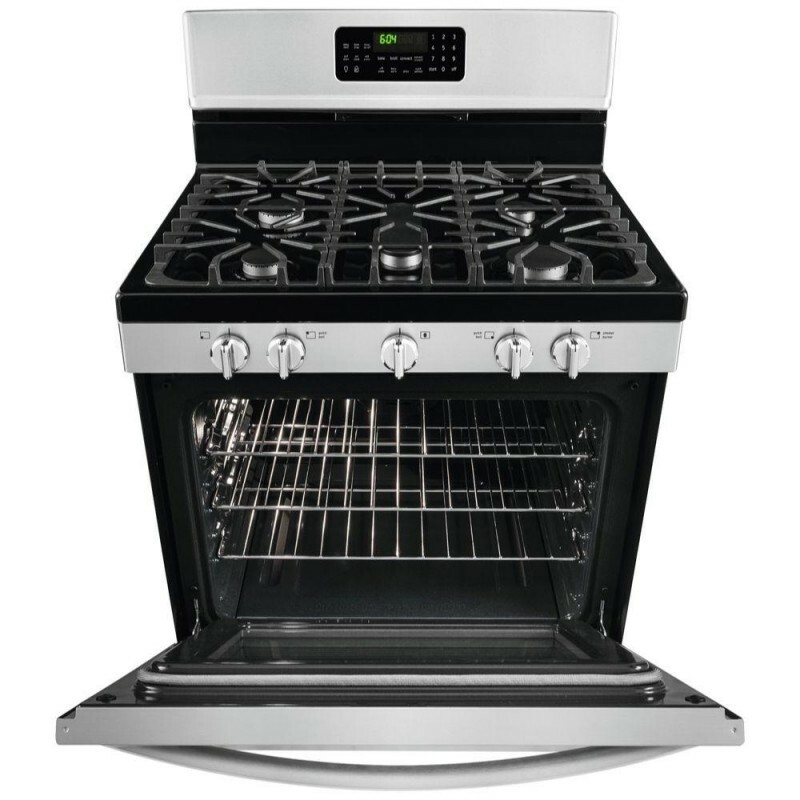 ft. capacity oven and a cooktop with 5 Gas Sealed Burners, including an 18,000 BTU Quick Boil burner that boils water quickly, a center 10,000 BTU oval burner and a Low-Simmer Burner, so you can have precise temperature control with high and low heat. 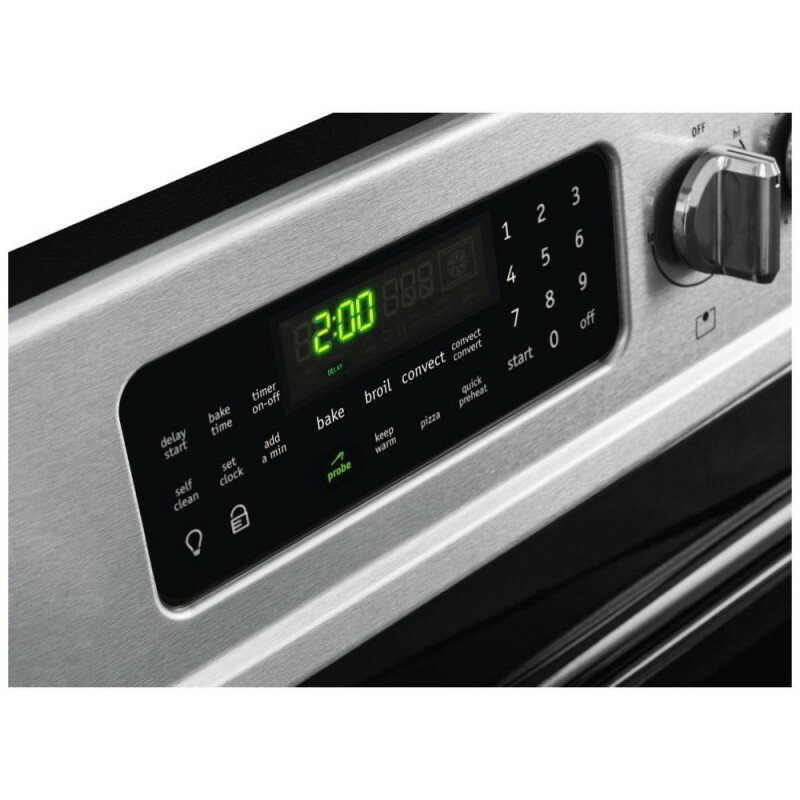 The oven offers True Convection (3rd Element), which evenly distributes heat throughout the oven for faster and more even multi-rack baking. 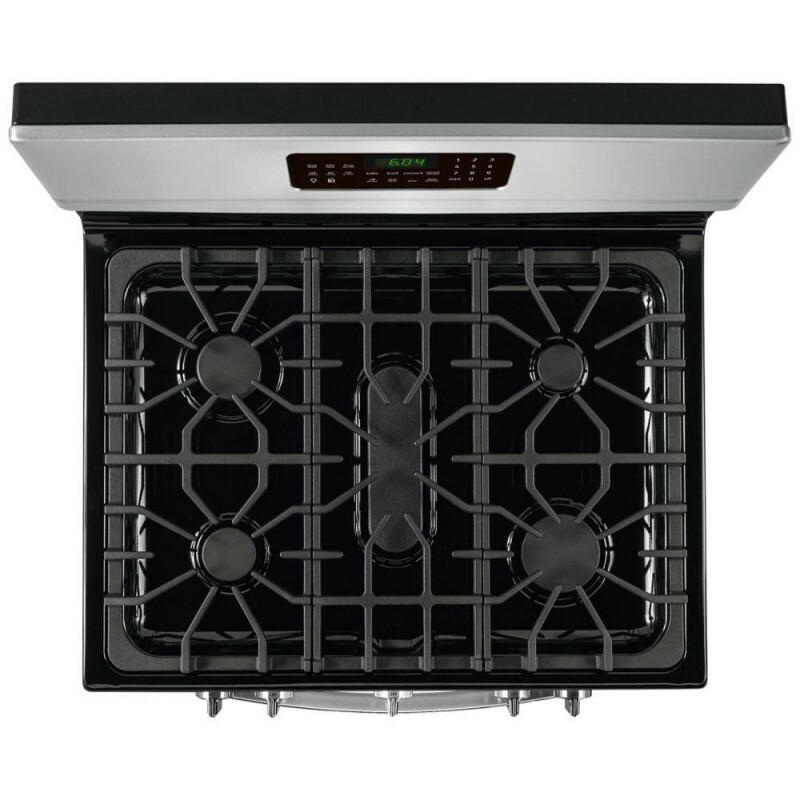 The Effortless Temperature Probe allows you to set the desired finished temperature and alerts you when that temperature has been reached.